Hazardous chemicals such as lead are finding their way into food-contact items and other everyday products because manufacturers are using recycled electrical equipment as a source of black plastic, a study has found. The substances are among those applied to devices, such as laptops and music systems, as flame retardants and pigments but remain within the products when they reach the end of their useful lives. Scientists at the University of Plymouth in the UK have shown that a combination of the growing demand for black plastic and the inefficient sorting of end-of-life electrical equipment is causing contaminated material to be introduced into the recyclate. This is in part because despite black plastics constituting about 15% of the domestic waste stream, this waste material is not readily recycled owing to the low sensitivity of black pigments to near infrared radiation used in conventional plastic sorting facilities. As well as posing a threat to human health, the study showed that there are potentially harmful effects for the marine and coastal environment either through the spread of the products as litter or as microplastics. Researchers used XRF spectrometry to assess the levels of a range of elements in more than 600 black plastic products such as food-contact items, storage, clothing, toys, jewellery, office items and new and old electronic and electrical equipment. Bromine, in the form of brominated compounds, is and has been used in electrical plastic housings as a flame retardant, while lead is often encountered in electronic plastics as a contaminant. However, both elements were found extensively in non-electrical black consumer products tested, where they are not needed or desirable. In many products, including cocktail stirrers, coathangers, various items of plastic jewellery, garden hosing, Christmas decorations and tool handles, concentrations of bromine potentially exceeded legal limits that are designed for electrical items. 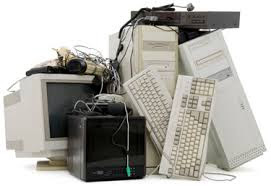 In other products, including various toys, storage containers and office equipment, concentrations of lead exceeded its legal limit for electrical items. “There are environmental and health impacts arising from the production and use of plastics in general, but black plastics pose greater risks and hazards,” said Andrew Turner, a from the University of Plymouth. “This is due to the technical and economic constraints imposed on the efficient sorting and separation of black waste for recycling, coupled with the presence of harmful additives required for production or applications in the electronic and electrical equipment and food packaging sectors,” said Turner. “Black plastic may be aesthetically pleasing, but this study confirms that the recycling of plastic from electronic waste is introducing harmful chemicals into consumer products,” he said. “That is something the public would obviously not expect, or wish, to see and there has previously been very little research exploring this. In order to address this, further scientific research is needed,” Turner said.